We also build a line of six stock harps that range from twenty two to thirty six strings. These harps are shown on the STOCK HARPS page and are constructed from various harp builder's plans. You can choose options for these just as you can for a custom harp. ​​​​Either way, we hope you will enjoy perusing our GALLERY of works. The harps and other wonderful creations there may help you conceive an idea of 'just that perfect thing' you have been searching for but have been unable to find. We will create it for you! ​​You can enjoy your creation, customized for you, as it communicates your feelings and ideas that can only come from such a personal possession. Express yourself! 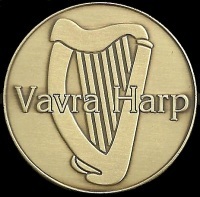 Any VAVRA Harp is WARRANTED for as long as you own it! ​​​We have found that crafting a harp requires the precise melding of calculation, skill, and experience. The overall 'voice' of the instrument results from the consideration of wood, strings, finish, and decoration. ​​​We can do whatever it takes to deliver what you want. Please, peruse our HARPS and GALLERY pages. You may see something that inspires! I am a mechanical/electrical engineer with a doctorate in software engineering and a masters in quality engineering. My last studies were at Carnegie/Mellon and MIT in software process engineering and managing multiple large projects. I make my living as a software quality engineer for a fortune company. I build harps as a passionate hobby. Now, before you leave after reading 'hobby', please consider that, because I build harps 'one at a time', I can devote all of my energy into YOUR harp and all of the time necessary to get YOUR harp as perfect as my skills allow.